So yes, onions are bad for dogs. They cause Heinz-body anemia, which lowers the amount of blood in their bodies, and makes them lethargic. If they eat enough onions (but it would have to a good amount of onions), they may die. So what is this Heinz body anemia? Let’s start with what a Heinz body is in the first place. A Heinz-body is a lump in a red blood cell. So onions cause these lumps on the blood cell. These lumps are very large, and can be seen under a microscope. Red blood cells with these Heinz bodies are more likely to rupture, and get filtered out by the spleen. So what is in onions that make it bad for dogs? There are a couple culprits, but one of the most important seems to be this little punk: Sodium n-propylthiosulphate. Sodium n-propylthiosulfate says "I hate dogs"
But to understand how Sodium n-propylthiosulphate works we need to back up a little bit. 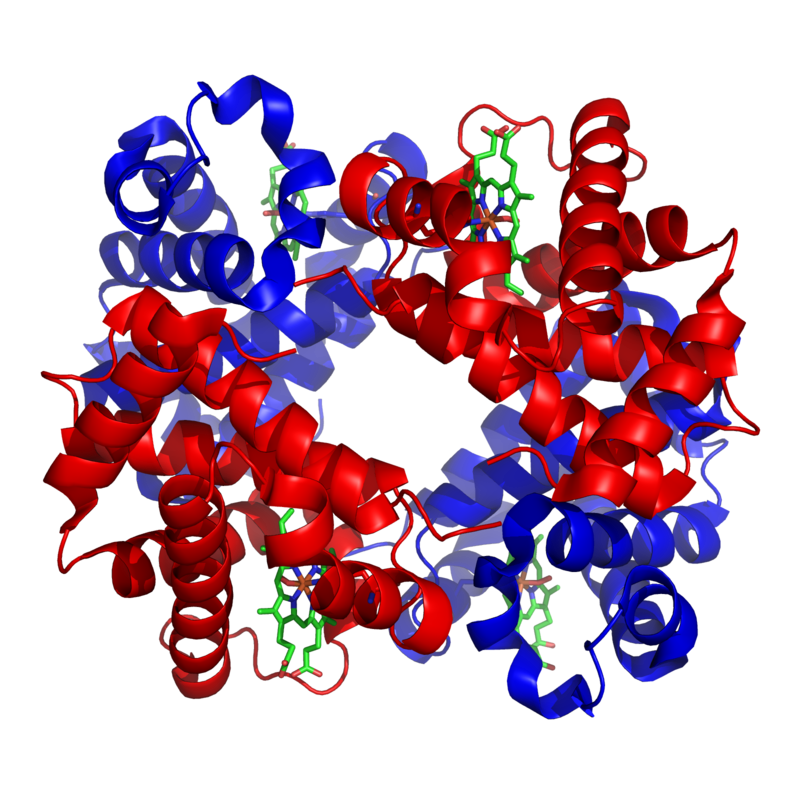 A mamals blood cell is filled with a protein called Hemoglobin. 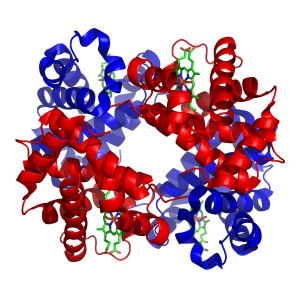 Hemoglobin has a few spots where an Iron molecule sits. The Iron molecule will react with oxygen, and releases it when necessary. This is how oxygen is transported. However, Sodium N-propylsulfate reacts with the Iron in Hemoglobin to create Methemoglobin, which cannot react with Oxygen. Not only that but the protein denatures, or falls apart, and precipitates to the membrane of the blood cell. The Precipitate then attaches to the membrane and becomes a Heinz Body. So this is the main reason why Heinz bodies are created, and why onions are bad for dogs. There are other compounds, and mechanisms that seem to be in play, though. But why are dogs affected so much? And if onions are bad, is garlic OK? They are similar plants, but garlic seems to be much less dangerous. I’ll discuss this next week! Hajimemashite! Thank you for for visiting, and I hope to hear from you again! Hello! Thanks for your complements, I did indeed design the website (through a wordpress theme, though)! Keep on visiting, this week I’ll post about the benefits of Garlic. Nice to meet you. I am a fan of the bog that your wife writing and I love Tsuki chyan. I will visit sometimes your blog if I have time! Hello, thanks for visiting! I’ll be posting more pictures of Tsuki, as I write, so keep coming!